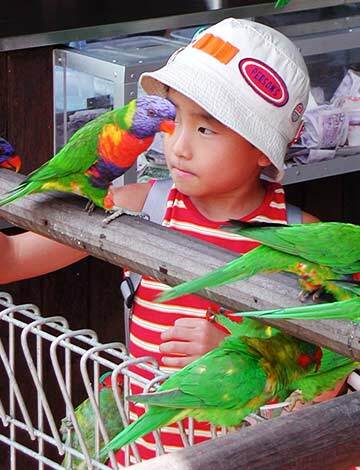 Lory Loft Jurong Bird Park is the world’s largest walk-in lory flight aviary. 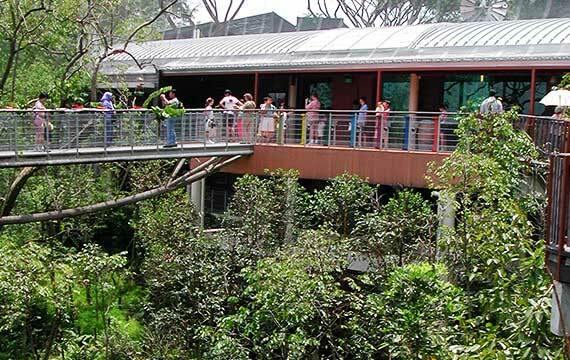 It houses at least a 500 hundred free-flying colorful birds, in a rainforest ambience of created within an aviary of 3,000 square metres, with the aviary structure and suspended walkways for visitors to experience a tropical Australian Habitat, where the Rainbow Lorikeet dominates the forest tree tops. 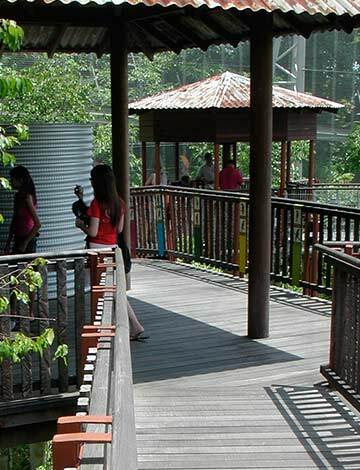 The Lory Loft is designed to provide visitors an experience to view Lorikeets high in the upper canopy of a treed valley. 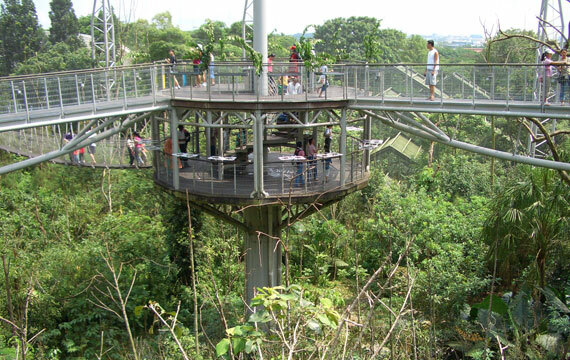 Suspended walkways, 14 metres above the ground allow visitors the spectacular experience of viewing and feeding Lorikeets close-up. 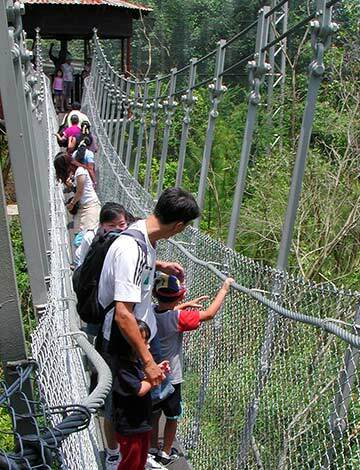 There are walkways for the not so adventurous through to swing cable bridges for the adventurous. All facilities and shelters have an Australian ‘outback’ theme.